i LOVE Pandora's Clock-----RDA does a fantastic job, as you say. It is a bit scary because it could conceivably happen in real life....well, maybe it could. Just out of curiosity, are NONE of the videos from the Video Gallery loading for anyone? I ask because it takes a tremendous amount of time for me to convert all of these, and it costs extra money to host them on the website. I realize that the page was loading slowly or mis-loading for a lot of people, usually when traffic was high, but if everyone is simply going straight to YouTube, then the traffic should be lower, and if NO ONE is using the Video Gallery, I can save myself a lot of time and money by shutting it down. I just checked the Video Gallery, and Pandora's Clock was a little slow to load, but it played just fine for me. I watched Pandoras clock before i discovered your website. since than i watched a lot on here instead of yt. please don't take anything down. just on watching 7 b 4 7 b. sorry for any misunderstandings. i really love and appreciate the work you put in and the amount of time. this is absolutely awesome. I tried many times to load the videos from your website. Either is very very very long or it doesn't work. When I say "it doesn't work", it means the video doesn't open. So I found another way to watch videos or I bought DVD. But it is just perhaps due to my computer. I don't know. For me it is so, the videos do not load or very slowly. But if I open a second tab, the video will run on one tab and I'll close the other. It still does not work on my smartphone since the description of the video is partially overlaid on the video, I can not start it. But I often use the video gallery on my laptop, albeit less for the movies. I didn't know the movies were available on the website ! Thank you for the YT link, and I apologize for the late late reply. I checked the website and it's very slow. 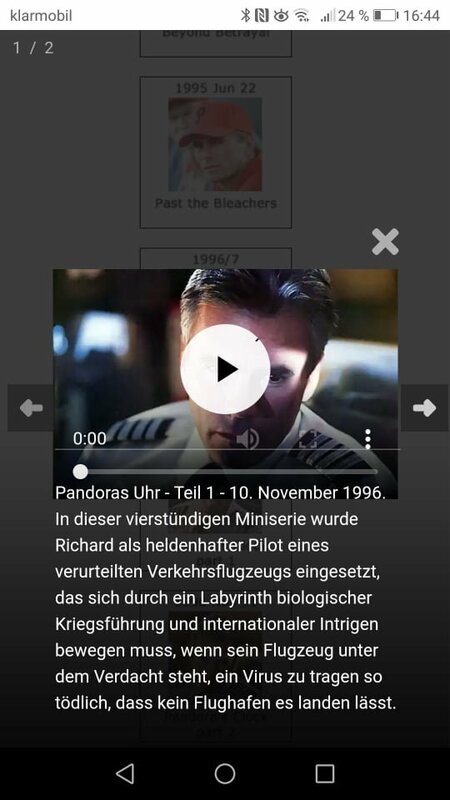 The video of Pandora won't start, for exemple. I don't know if it's because of my connexion or my computer. I thank you, Kate, for the amazing work you're doing. Oh ! Never mind ! It was slow but the video started after a while !